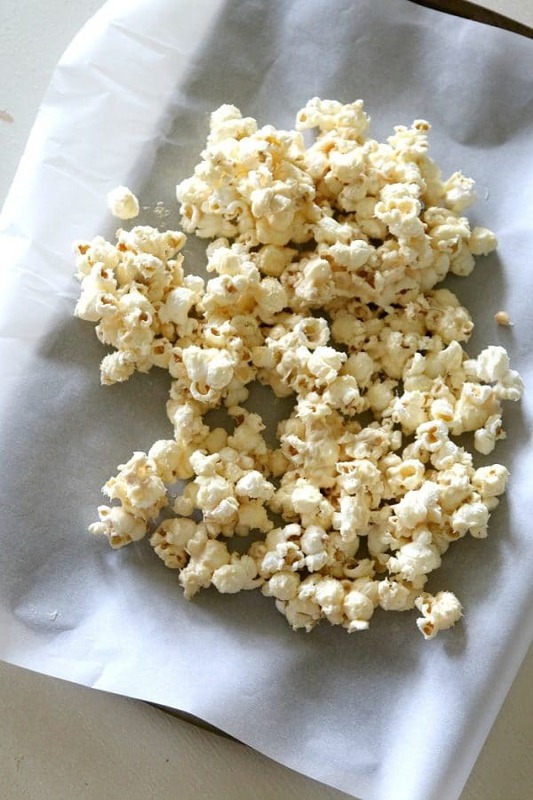 Firework Popcorn: A Recipe that POPS! 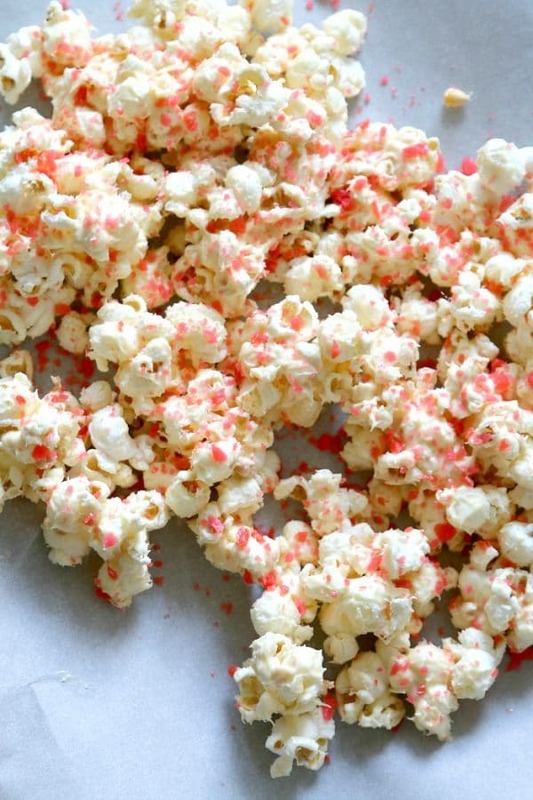 Home » Recipes » Desserts » Firework Popcorn: A Recipe that POPS! MomDot is no stranger to Poprocks- just take our Firework sugar cookies for example. Num, num, right? 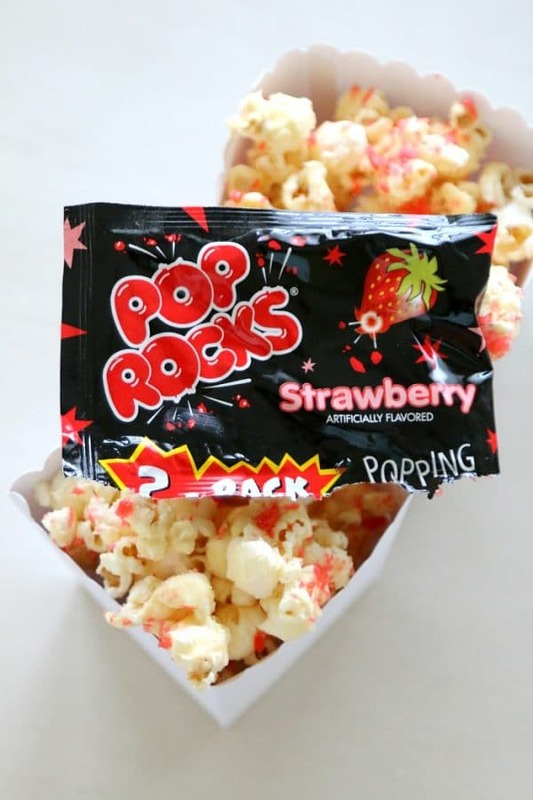 Now I have wanted to put pop rocks on Popcorn for a long time but I was waiting it out to be a Fourth of July fun kids treat, so now that we are nearer to that, I could totally justify picking up some tasty Strawberry Poprocks (check out the time we told Charlotte we would explode if we ate pop rocks here) and tossing into some white chocolate for a fun and festive Fourth of July Treat! Simply melt your chocolate according to instructions (White chocolate or white mint works best here). One melted, mix in with a rubber spatula coating your popcorn entirely. 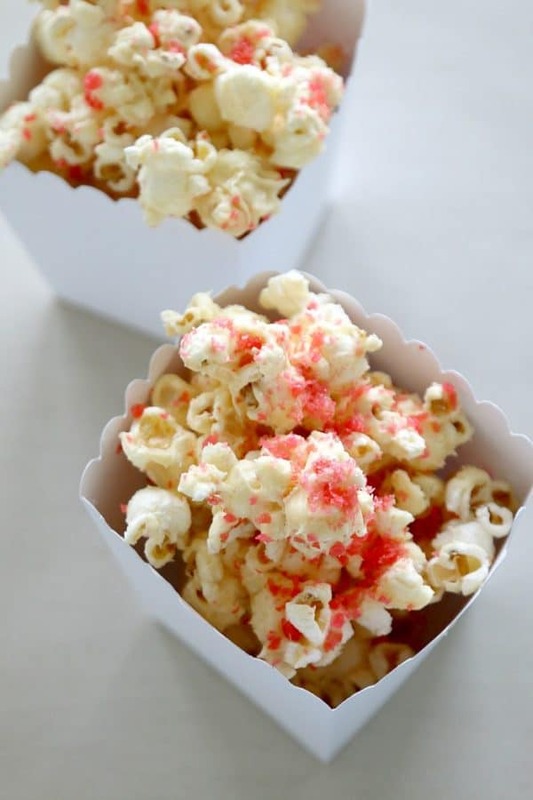 Spread your newly chocolatey popcorn on some parchment paper, sprinkle your pop rocks on, and pop in the freezer for about 2-3 minutes to harden. 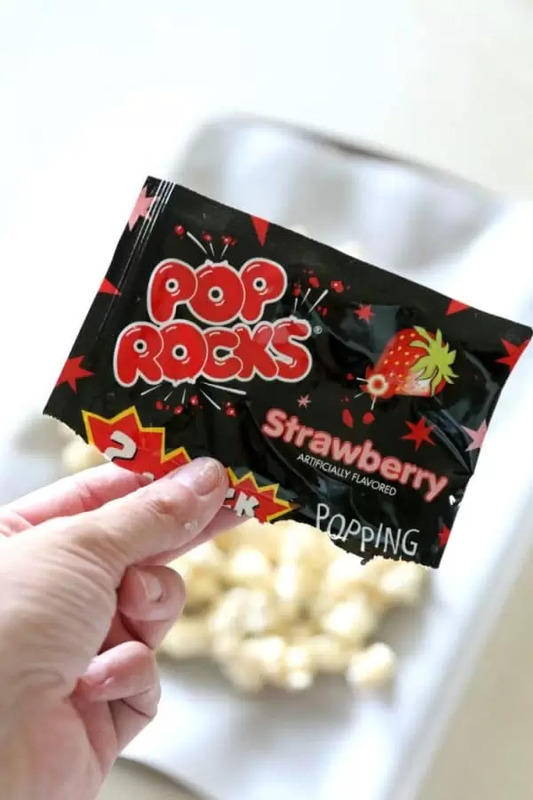 POP ROCKS® are small pieces of hard candy that have been gasified with carbon dioxide under super-atmospheric pressure. When these gasified sugar granules come in contact with moisture, in someone’s mouth or in a liquid, the gas retained inside the carbon dioxide bubbles is released, causing its characteristic popping sensation as well as crackling and fizzing sounds. This basically means they will continue popping from the moment they hit your chocolate and you don’t want to ruin the fun if your party is 10 hours after you make it. Plus, to be honest, popcorn is kinda nasty stale. Ready for more 4th of July fun? Check out how we took noodles to create Firework art!